Koos was a very influential band whose music was truly ‘alternative’ although the band hated that label. Thanks to Donald Ferguson, who took many photographs of the Voëlvry and other bands, some new photos of Koos have emerged. This post adds to the previous one but includes some of Donald’s amazing photos. Neil Goedhals, Gys de Villiers and Marcel van Heerden. Photo credit Donald Ferguson. 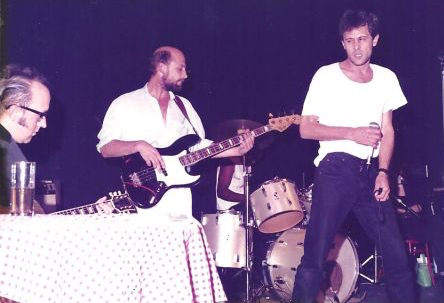 In 1986, artist Neil Goedhals and actor Marcel van Heerden formed the band Koos. They started the band in reaction to the chaos that was then the norm in South Africa. Other core members of Koos were Gys de Villiers, Megan Kruskal, Kendall Geers and Velile Nxazonke. Koos was a popular Afrikaans name, it also was a slang term for a chamber pot or bedpan. According to Fred de Vries in his book Club Risiko, the band’s name was inspired, in part at a gig. An audience member, who could not find his friend (named Ghys), started shouting “Ghys waar is jy?” (Ghys where are you). The band members then joined in and started shouting out various names, “Waar is Willem?” (Where is Willem? ), eventually someone shouted “Waar is Koos?” the audience joined in and started chanting, “Koos, Koos”. Koos performing live. Photo credit Donald Ferguson. 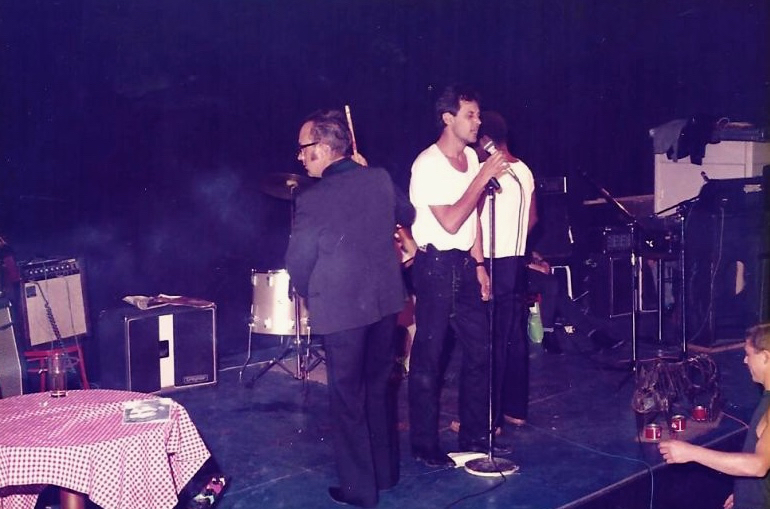 Before Koos, Goedhals played in the band formed by the brothers, Yunus and Iqbal Momoniat called the “Prisoners Go Go Band”. 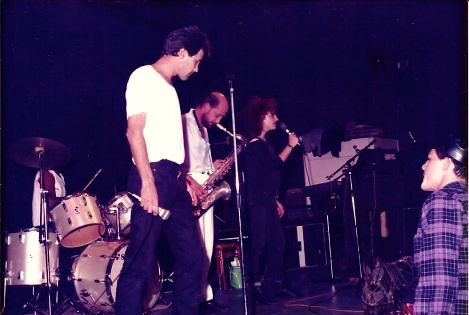 Yunus Momoniat had been acquiring recording equipment and in 1981, the three recorded one album, Live at the Butchery with Special Guests on Fire. Unfortunately the band never actually performed live and this is the only recording of their music that exists. Buy the vinyl of the Prisoners Go Go Band here. At a time when South African audiences were enthralled by guitar heroes, Goedhals, who hated guitar solos, refused to play any. Instead audiences were treated to poetry and theatre, all accompanied by rhythms that were impossible to dance to. Van Heerden at times sang with pebbles in his mouth to change his voice. Neil Goedhals and Gys de Villiers. Photo credit Donald Ferguson. It can be argued that the music of the other “alternative” bands and artists of the Voëlvry era was standard rock music, Koos on the other hand, were intent on pushing sonic boundaries. 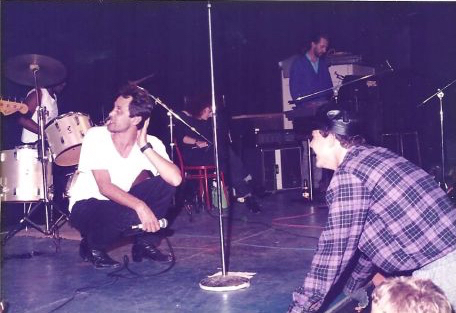 Koos have been compared musically, to Can, the Gang of Four and the Fall, the theatrics that accompanied their live shows were reminiscent of the Birthday Party and Bauhuas. 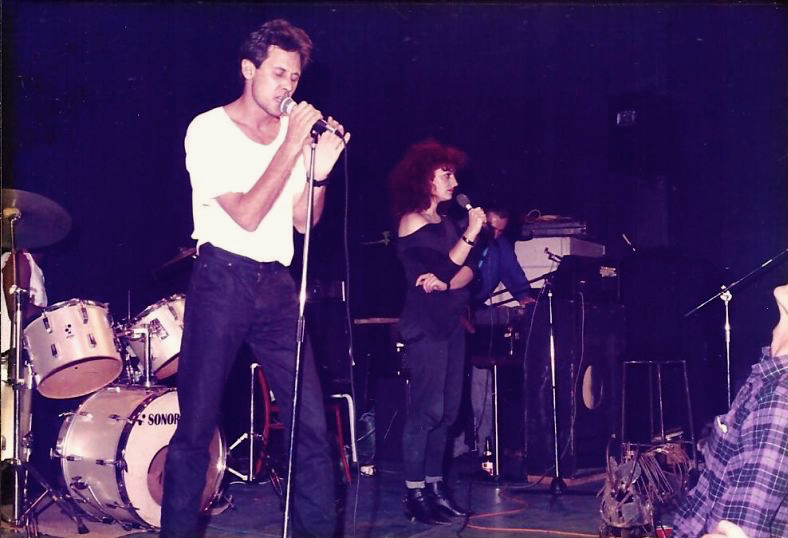 Marcel van Heerden said that the band was influenced mainly by music that was coming out of Eastern Europe. Some critics called the band’s music “eclectic”. Goedhals rejected this label saying, “[Dit] is ‘n post-modernistiese modewoord wat nie veel sê nie”. Goedhals said that his influences ranged from early Black Sabbath to Stockhausen (Leonard, Koos weet wanneer om stil te bly, 1989). 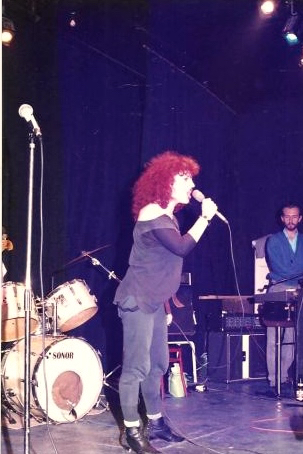 Koos performs live. Photo credit Donald Ferguson. In another interview Koos again reiterated that they hated being labelled and got “the moer in” when anyone branded them a “punk” band and were even more annoyed when they were called “alternative”. They insisted that they had always been on the fringe and were definitely not part of the “alternative Afrikaans” music movement, that arose around them. Koos insisted that they had no message because they were immune to what was going on around them, “Koos is onkruid. Ons het immuun geword teen die noodtoestand”. The band was active from 1986-1990 and experienced the madness and chaos of life during at least two States of Emergency that had been declared in South Africa. Koos tried to reflect the bizarre nature of life in South Africa during this period in their music, from the inertia and lawnmowers of the suburbs to the unrest and teargas in the townships (Blignaut, Ballpoint Merke op haar Bobeen, 1993). Neil Goedhals performs with his back to the audience. Photo credit Donald Ferguson. 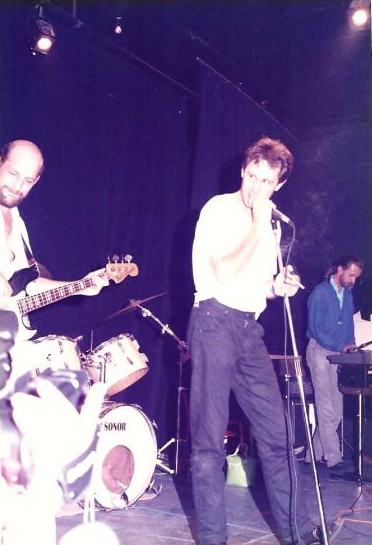 Live, the band were unlike anything that South African audiences had seen before. Vocalists van Heerden and Kruskal, who were both actors were able to inhabit their characters and challenge audiences. 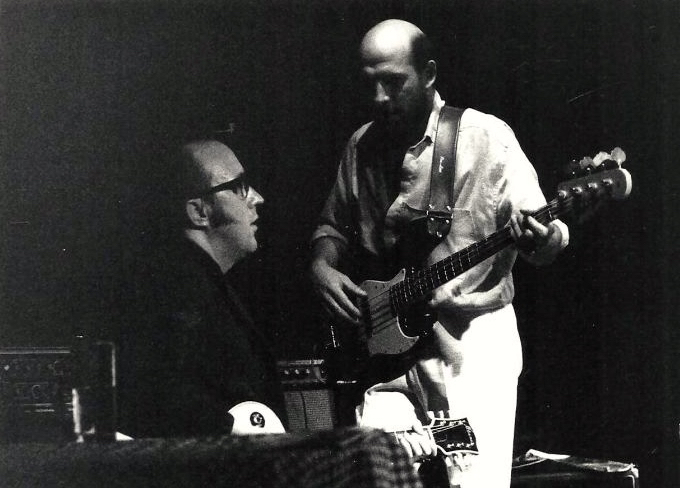 Goedhals, with his big sideburns and dark glasses which had one lens missing, would torture sounds out of his synthesiser and guitar and sometimes join bassist Gys de Villiars in a “slow motion square dancing routine” (Powell, 1989). Goedhals disliked the music of the other Voëlvry bands. He was far more interested in experimenting with sound, than taking the band out on the road. Koos only released one album, The Black Tape, which consisted of a cassette recording enclosed in a brown paper bag. The band took just half a day to record the album, which consisted of fifteen songs, sung in Afrikaans and English. The lyrics of many of the songs had been written by the poet Johan van Wyk (de Vries, Club Risiko, 2006). Buy the Koos album here. An excited fan looks on as Marcel van Heerden performs. Photo credit Donald Ferguson. After the release of Nelson Mandela in 1990 and the collapse of the Berlin wall, the band drifted apart. According to van Heerden, there was no traumatic argument or event that caused the break up, they simply stopped rehearsing and went their separate ways (de Vries, Club Risiko, 2006). On 16 August 1990, Goedhals committed suicide by jumping from a building. Goedhals’s death meant the end of the band. Ironically, just a few days after his death, the Johannesburg Art Gallery announced that it had decided to acquire some of Goedhals’s work. Megan Kruskal of Koos. Photo credit Donald Ferguson. Paul Riekert of Battery 9 has acknowledged the influence of Koos on his career. Riekert was impressed by the way that Koos pushed musical boundaries and were not focused only on the political situation in South Africa (Gedye, Death Disco, 2009). Koos’s music was harder and far more intellectual than any other South African band, according to Riekert. It was as if they were using Afrikaans as a weapon, he felt that it was the first time that the language was used to deliver a nihilistic and paranoid message (de Vries, Club Risiko, 2006). Van Heerden formed the band Mud Ensemble with his wife, Juliana Venter after the demise of Koos. Venter, with her flaming red hear gained notoriety for wearing a white suit that was studded with nails. Mud Ensemble also included a violinist, a bass guitarist, a drummer and an artist who would assemble installations composed of random material that the performers had found. Van Heerden purposefully did not include any guitarists in the band. Instead of being guitar-based like many South African bands, Mud Ensemble concerts were audiovisual spectaculars. The band broke up when Venter moved to London in 1999 (de Vries, Club Risiko, 2006). Buy the Mud Ensemble album here. The main reference for this article is the book Club Risiko by Fred de Vries. Other references that were used are referred to in brackets and will be provided on request. All the photos (except the ones of Marcel van Heerden at the Shifty Concert) in this post were taken by Donald Ferguson. 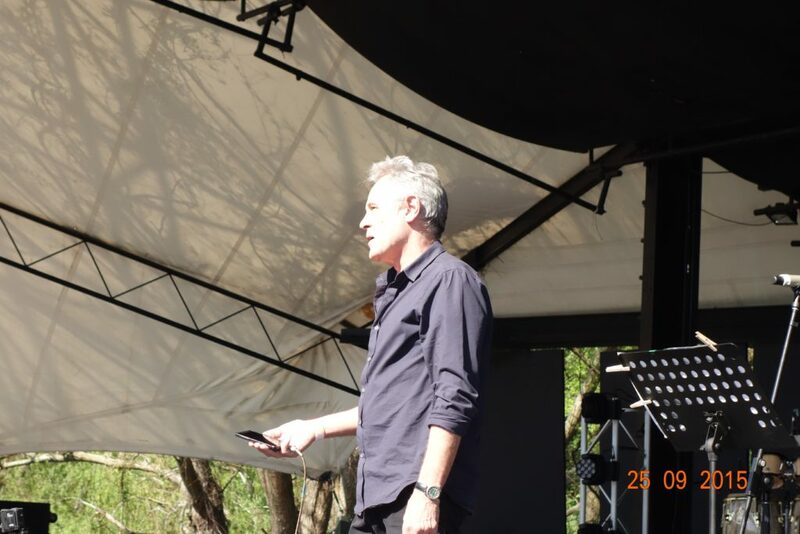 Marcel van Heerden performing at the Shifty Concert at Spier, September 2015. Pingback: Is jy 'n moegoe of is jy Koos? Fascinating.i’m sure not a lot of folks know about Gys and marcel’s rock band beginnings.Please keep us posted with more info. 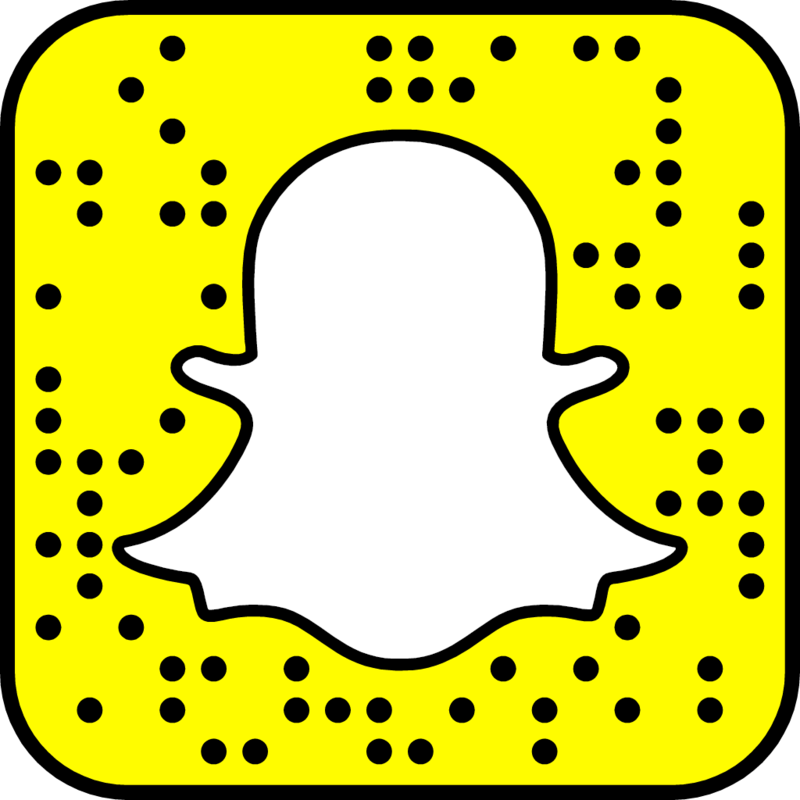 Have you done a Jamesons history yet? Nice one! Someone should bring out Koos and Prisoners Go Go on vinyl in SA!